I believe in constant learning and growing. Therefore, I place a high premium on knowledge, education, books, youtube channels, reserach, mentors, experts. It is important to be the best at what you do at any given point whilst constantly sharpening the tools of your trade. In tarot, although intuitive reading can never be undermined, as with most things, you need a strong foundation of exposure to tarot to build your confidence as a tarot reader. There are a number of resources available on the world wide web. There are also new technologies where you can learn tarot cards through cellphone apps. I would like to recommend a few tarot stalwarts, that have developed a tremendous amount of knowledge on tarot, including innovative, creative and expansive ways of using tarot for self-development, guidance and better decision-making. They have created a range of options to fine-tune the viusual langauge system that you will create for yourself. They are Donnaleigh de LaRose, Theresa Reed, Marcus Katz, Inger Braathen-Moran, Catherine Chapman, Kelly-Anne Maddox. They have all been generous and gracious enough to make available free-online resources to demystify the practice and process of tarot reading. There are certainly many more resources that you can get your hands on withoutlooking very far. But these champions would be a great start. This card generally reflects material comfort and satisfaction. It is about stability and groundedness. I loved seeing this card come up in a reading for any area of life. But it soon became evident in readings that as much as we crave material safety and predictability, there are also other aspects of life that we close ourselves off to when we focus on the narrow ways of achieving ends. We need to be able to enjoy our environment, our loved ones and the wide array of opportunities there are to be a part of a bigger circle / community to enjoy the warmth and intimacy of belonging to something greater than comfort zones. We should take calculated risks to step outside the boundaries we create for ourselves. With Valentine’s Day around the corner, there is a lot of focus on love and relationships. 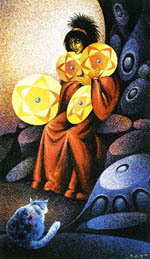 A tarot reading can give you valuable insite into what’s happening in this important area of your life. 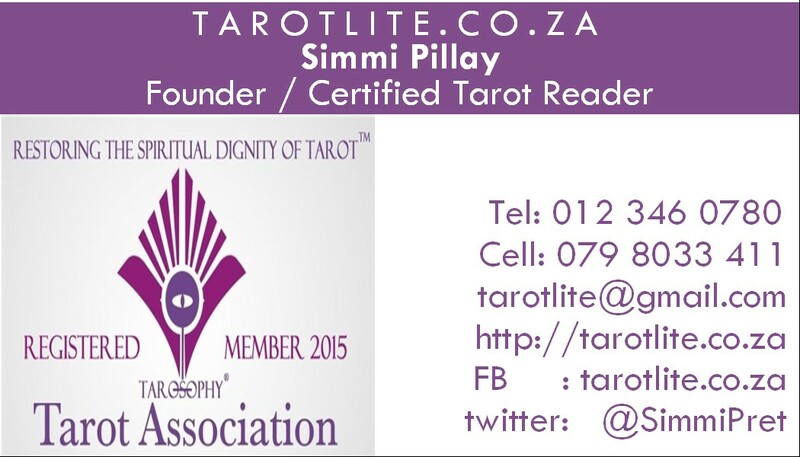 Book a short tarot 15 minute reading for R100 to get your questions answered.